When it comes to celebrating with friends and family, there are plenty of interesting places to enjoy in LA such as the electric owl sunset blvd. 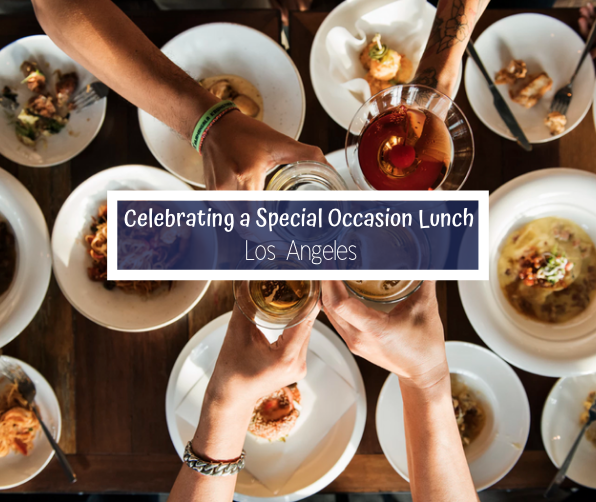 For ideas on restaurants that is perfect for your next celebration, check out some of these places for the best special occasion lunch in LA. At this modern French restaurant you’ll enjoy delicious plates in a elevated and striking ambiance. Pair your meals with delicious cocktails or satisfy your sweet tooth with their inhouse bakery. Their cafe offers lunch until 3pm while their dinner hours start at 5:30pm. Enjoy their delicious chicken pot pie or the steak frites cooked in a red wine sauce. Nothing quite says celebrating a special occasion like doing it 71 floors above the ground. At this luxurious eatery, bar and lounge, enjoy high end modern American cuisine paired with panoramic views of downtown Los Angeles and beyond. On a clear day, you’ll see all the way to the Pacific Ocean. Enjoy Italian inspired fare at this modern restaurant. Enjoy classics including ricotta ravioli, rigatoni or the linguini and clams and hand tossed pizzas. All pizzas are made in house! Pair your lunch or dinner with a bottle from their extensive wine list. Save room for dessert including nonna’s lemon ricotta cookie, strawberry bread pudding, cannoli, tiramisu and more.